My College experience has been great and exciting and i truly recommend it to everyone for studying here. I don't have any problem in this college. Due to my financial condition, my family belongs to a very poor family so this college fee is very low and education level is high as compared to a fee of college. In these college professors are very good at behavior and all are the best in their field. College inspires,prepares and empowers students to succeed in a changing world. I sincerely enjoyed my stay in Broadstairs. The school, the teachers, the host family and the city. Everything was perfect. Clearly structured information, everything is well organised. In case of problems/questions: student services' staff was always available and quick to help. _Because there is only one college of BCA course in Mahuva. _And i wanted to study in maharaja krishnakumarsinhji bhavnagar university. _And my College is affiliated to it. _And i dont wanted to go out of my city also so. _And Seniors gave great review and Friends also. I think not bad but good cause this is my best part part of life parul university i great the management as they support and solve all problems of their students and all help desk is available 24*7 for hostel students so that they are free from any problem ccreated between them finaly i say its the best college in the gujarat. Even which hold by college was very helpful for future life. There is no entrance exam. They give addmision on merit list. There were no entrance tests, admissions were purely merit based. I took the course after my 12th science because I had a plan to get into IT and BCA at Xavier's was better than a BE other colleges in the area, also the fact that you graduate in 3 years. Though college did not at that time directly provide internship. But it had a great image we could easily get internship ranging from 7000 to 12000 per month at that time. The College charges for things unnecessarily and has issues regarding stringent attendance. A Great Place to Study and Grow!" Management is very active and actively considers each and every positive development for the college with open ears and is far sighted and has a very good vision for the college. I have given GCET Exam & i got 256 Score. This is a Best Collage for Study & Environment is Good. Professors are too supportive. I feel proud to be a Xavierite. 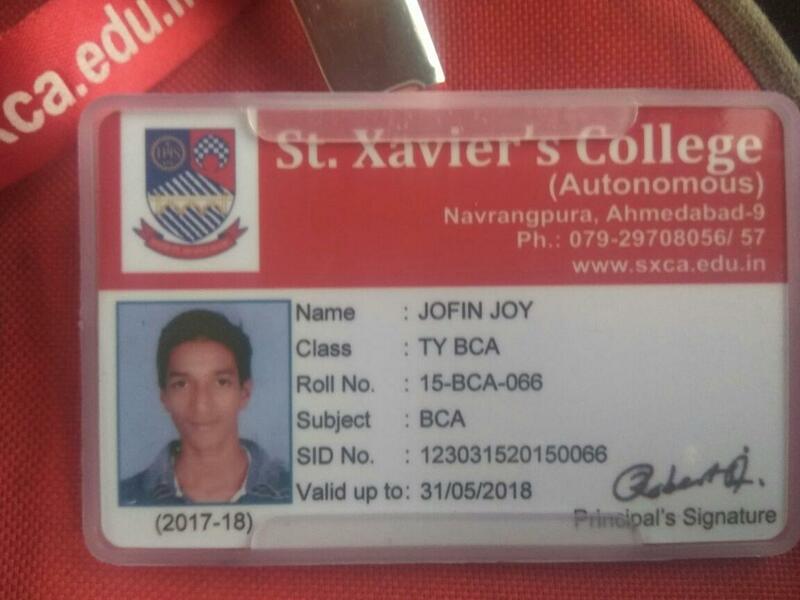 Xavier is known as best college in Ahmedabad and even in Gujarat. It holds 11th India Today Rank for BCA and 25th Rank for Science and 23rd Rank for Arts. The management of the college is very good and 75% attendance is required in each subject. It is the best college in India. I just love being here. I gave the Entrance exam and personal interview for admission in Navrachana University. I chose BCA from Navrachana because of the quality of education they offer is great.